Danbell is specialized in providing total solutions in the field of Industrial Automation and Building Automation System. We offer a wide range of control solution to suit your specific requirement. Our engineered solutions are delivered utilizing products from leading international manufacturers which are combined with our professional engineering services. Our services are provided by highly trained and experienced engineers who are led by qualified project managers. Danbell team have diverse backgrounds, disciplines and skills enabling us to provide the required knowledge to meet and fulfil customer requirements. Danbell has earned a renowned reputation for providing world class solutions at competitive prices. This has been achieved by working closely with our customers to ensure their requirements and expectations are clearly understood, that the best technologies are utilized, and that the desired results are delivered through creative, trained and highly competent people. Our desire to retain and improve our reputation is strong so you can be assured of receiving the value you expect when you utilize the services of us. We are systems integrated which designed to facilitate the interconnection of a variety of systems so they can communicate with each other, working cooperatively to respond to data from different sensors and controls to create maximum comfort , efficiency and energy saving throughout all of the building’s environments. 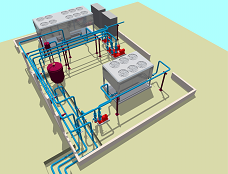 Turning building systems into business advantages requires knowledge of HVAC applications, system design and controls. Danbell is one of the few companies in the industry that designs, tests and integrate all products comprising a high-performance HVAC system. And Our solution meet the most challenging temperature, humidity . .. . .
Danbell uses the latest Internet technologies to help customers to increase plant floor productivities, to improve automation system flexibilities, and to minimize Supervisory Control And Data Acquisition (SCADA) system costs. 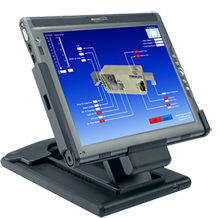 When you choose WebSCADA, you are assured of obtaining the most advanced, reliable, and proven technology. 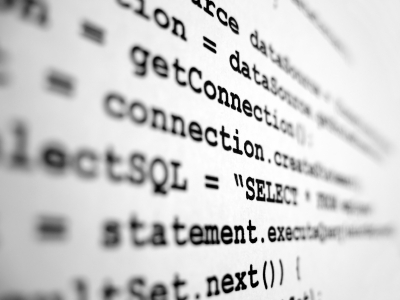 We also provide Database design, Visual Programming, and other solutions as customer require. From simple control panels to complex, pneumatic or even purged panels for hazardous locations, Divelbiss Corporation is your one-stop panel shop. We have been manufacturing control panels of all sizes for over 35 years. Our panel assembly services include panel layout, panel modification, component mounting, wiring, marking and testing.